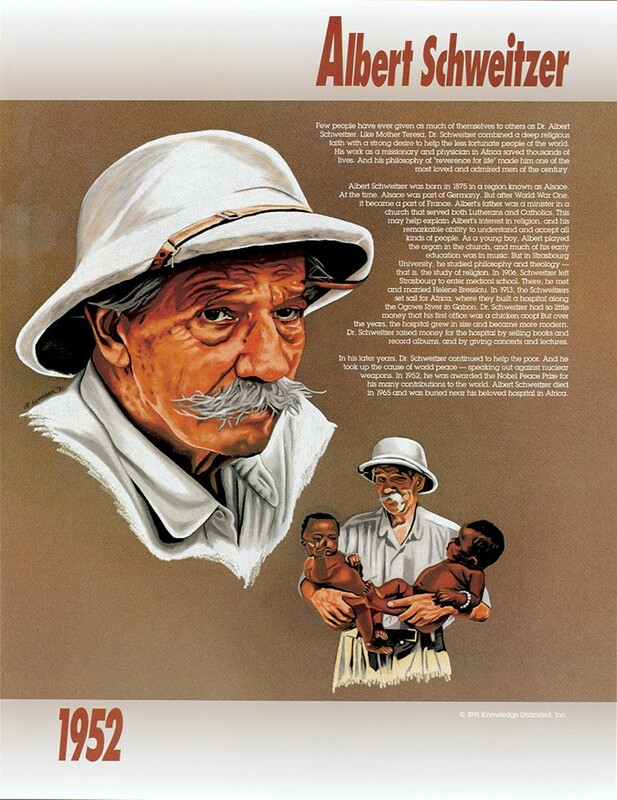 This educational poster features a striking image and biographical summary of Nobel Peace Prize winner Albert Schweitzer. 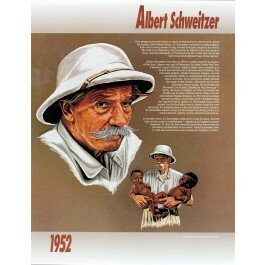 Albert Schweitzer won the Nobel Prize in 1952 for his dedicated work as a physician in Africa, where he saved thousands of lives . This poster is a great way to introduce students to an iconic figure of the 20th century, whose philosophy of "reverence for life" continues to inspire people today.